테베(Thebe)는 1979년 3월 5일 보이저 1호가 촬영한 사진을 분석해 스티븐 P. 시넛이 발견한 목성의 위성으로, 안쪽 위성들 중에서 두 번째로 크다. 이름은 그리스 신화의 신 아소포스의 딸인 테베에서 따왔다. 지름은 116×98×84 km 정도이며, 목성 중심과의 거리는 22만 1895km로 목성의 안쪽 위성들 중에서는 가장 바깥에 위치해 있다. 목성의 표면으로부터 분출된 먼지로부터 형성된 테베 고리의 바깥 가장자리 안쪽에 있으며, 아말테아와 비슷한 구조의 표면을 형성하고 있다. 테베는 보이저 1호와 2호가 각각 1979년과 1980년에, 그리고 1990년대에 갈릴레오에 의해 촬영되었다. ↑ Calculated as a×(1 − e), where a is semimajor axis and e is eccentricity. ↑ Calculated as a×(1 + e), where a is semimajor axis and e is eccentricity. ↑ The estimate from Thomas, 1998 was divided by 1.5 to account for the difference in assumed densities. ↑ The estimate from Burns, 2004 was divided by 1.5 to account for the difference in assumed densities. ↑ 가 나 다 라 Cooper Murray et al. 2006. ↑ 가 나 다 라 Thomas Burns et al. 1998. ↑ 가 나 Burns Simonelli et al. 2004. ↑ Simonelli Rossier et al. 2000. Burns, Joseph A.; Showalter, Mark R.; Hamilton, Douglas P.; Nicholson, Philip D.; de Pater, Imke; Ockert-Bell, Maureen E.; Thomas, Peter C. (1999년 5월 14일). “The Formation of Jupiter's Faint Rings”. 《Science》 284 (5417): 1146–1150. Bibcode:1999Sci...284.1146B. PMID 10325220. doi:10.1126/science.284.5417.1146. Burns, Joseph A.; Simonelli, Damon P.; Showalter, Mark R.; Hamilton, Douglas P.; Porco, Carolyn C.; Throop, Henry; Esposito, Larry W. (2004). 〈Jupiter's Ring-Moon System〉 (PDF). Bagenal, Fran; Dowling, Timothy E.; McKinnon, William B. 《Jupiter: The Planet, Satellites and Magnetosphere》. Cambridge University Press. 241–262쪽. Bibcode:2004jpsm.book..241B. ISBN 978-0-521-81808-7.
Cooper, N. J.; Murray, C. D.; Porco, C. C.; Spitale, J. N. (March 2006). “Cassini ISS astrometric observations of the inner jovian satellites, Amalthea and Thebe”. 《Icarus》 181 (1): 223–234. Bibcode:2006Icar..181..223C. doi:10.1016/j.icarus.2005.11.007. Marsden, Brian G. (1980년 4월 28일). “Satellites of Jupiter”. 《IAU Circular》 3470. 2012년 3월 28일에 확인함. Marsden, Brian G. (1983년 9월 30일). “Satellites of Jupiter and Saturn”. 《IAU Circular》 3872. 2012년 3월 28일에 확인함. Simonelli, D. P.; Rossier, L.; Thomas, P. C.; Veverka, J.; Burns, J. A.; Belton, M. J. S. (October 2000). “Leading/Trailing Albedo Asymmetries of Thebe, Amalthea, and Metis”. 《Icarus》 147 (2): 353–365. Bibcode:2000Icar..147..353S. doi:10.1006/icar.2000.6474. Synnott, S. P. (1980년 11월 14일). “1979J2: The Discovery of a Previously Unknown Jovian Satellite”. 《Science》 210 (4471): 786–788. Bibcode:1980Sci...210..786S. PMID 17739548. doi:10.1126/science.210.4471.786. Thomas, P. C.; Burns, J. 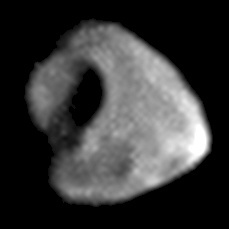 A.; Rossier, L.; Simonelli, D.; Veverka, J.; Chapman, C. R.; Klaasen, K.; Johnson, T. V.; Belton, M. J. S.; Galileo Solid State Imaging Team (September 1998). “The Small Inner Satellites of Jupiter”. 《Icarus》 135 (1): 360–371. Bibcode:1998Icar..135..360T. doi:10.1006/icar.1998.5976. USGS/IAU. “Zethus on Thebe”. 《Gazetteer of Planetary Nomenclature》. USGS Astrogeology. 2012년 3월 27일에 확인함. 거리 순으로 나열되어 있으며, 임시 명칭은 기울임꼴로 되어 있다. 이 문서는 2019년 3월 24일 (일) 18:28에 마지막으로 편집되었습니다.